Alex used to avoid the mirror at all costs. Now he embraces his reflection. 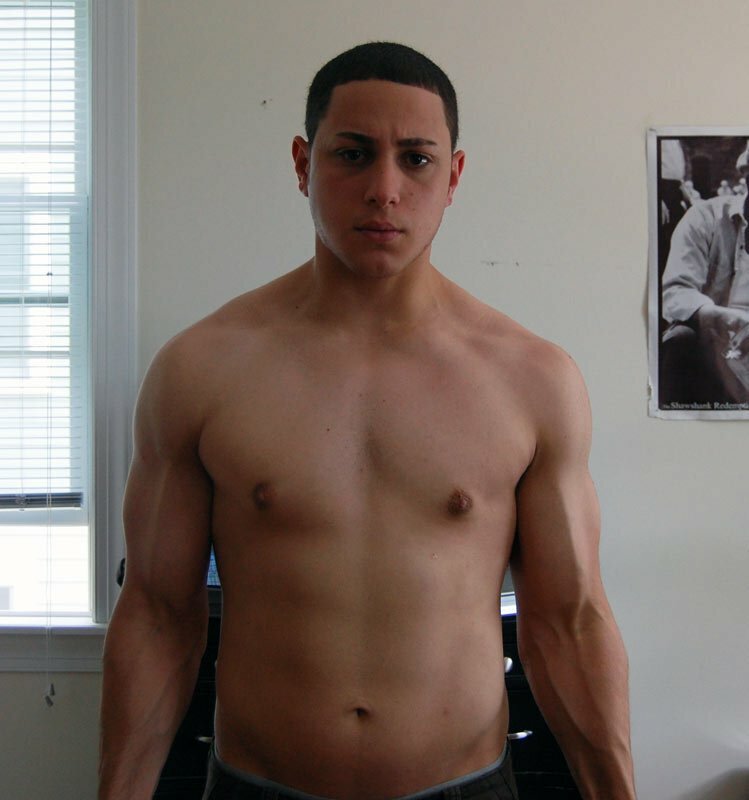 Read on to see what Alex did to cut his body fat and lose 50 pounds! I was tired of ignoring mirrors whenever I passed by one because I was scared of what I looked like. I was unhappy and hated myself and decided to no longer go down that path, but to change my life around completely. I saw Bodybuilding.com advertised all over the Internet so I decided to join the website. Right from joining I started to become motivated by other people on the website. I noticed that even not going to the gym for a few days made my level of motivation decrease incredibly, but the second I got back in the gym I was back to being motivated again. I didn't weigh myself for like the first two months and didn't even know if my body was changing because I was so uneducated about how the body works, so about two months into my transformation I decided to step on the scale and was astonished when I saw that I was 20 pounds less than when I started. This was enough motivation for me to continue my diet/exercise plan and the fact that the summer was coming up and I wanted to look good. 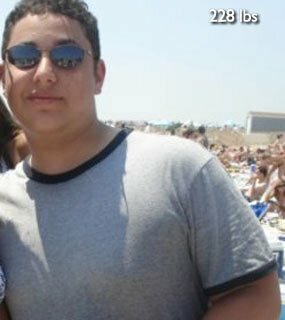 I started in February of 2009 and ended in July of 2009, so I was losing an average of about 10lbs per month. Mirror, mirror, on the wall, who's the fittest of them all? 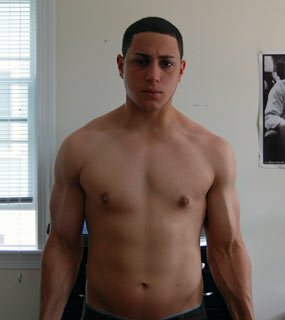 I had recently broken up with a girlfriend of 2 years and decided to put all the time I was spending with her into changing the way I looked physically. My mind was just automatically set in this motivational mode and I worked out 4-5 days per week, one hour of lifting followed by another hour or 1.5 hours of racquetball. I played racquetball for cardio because I absolutely despise running/treadmills/elliptical/traditional cardio. I also knew nothing about how to eat right; I have a huge appetite and would eat anything at anytime all the way up until going to bed at night. So I did some research and talked to the guys in the gym who were in the best shape. They gave me eating and exercise advice and I stuck to it for 6 months, dieting strictly and exercising diligently. I only allowed myself one meal per week of whatever I wanted (I always chose pizza and soda, it's the Italian in me). Since my family is not the healthiest of eaters I bought my own mini-fridge and purchased my own groceries each week and cooked all my meals for the day in the morning. 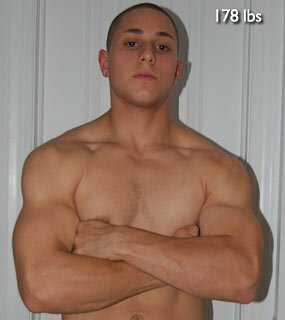 I did some research and talked to the guys in the gym who were in the best shape. I never took supplements; I would take a whey shake one or two times per day. I always took it after my workout and sometimes I took it before as well. Note: I naturally have very large, muscular legs, so I only did cardio to tone them. When you start to lose motivation, talk to other people on the website and watch transformation videos on YouTube. Think long term and know that if you do this know your future will be brighter, healthier and all around better. You will be a happier person and enjoy life a lot more. You will be able to do things that you never could have before and you will live longer. If you are finding that this isn't working for you, contact me directly at alex.depinto@gmail.com. I will be more than happy to help.